The European Space Agency’s (ESA’s) Hera mission is set for a new record by becoming the first spacecraft to explore a binary asteroid — the Didymos pair. However, Hera mission won’t be the first to reach Didymos. 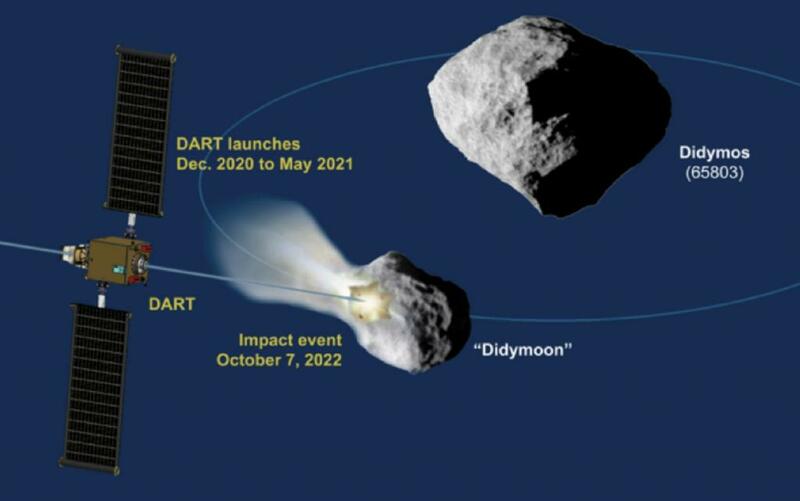 The National Aeronautics and Space Administration (NASA) in USA plans to launch the Double Asteroid Redirection Test (DART) between 2020 and 2021, which will target Didymoon as part of its planetary defence programme. The programme, designed to protect Earth from dangerous comets and asteroids, aims to crash DART into Didymoon in 2022 to alter its orbit around Didymos. DART will deliberately crash itself into the moonlet at a speed of approximately 6 km per second, using an onboard camera and autonomous navigation software. “This will give us a good estimate of the impact’s momentum transfer, and hence its efficiency as a deflection technique,” says Hera project scientist, Michael Küppers, in a note on the ESA website. Didymoon was chosen because of its close proximity to Earth and its size. “This isn’t the first spacecraft impact into a planetary body. NASA’s Deep Impact crashed into comet Tempel 1 in 2005, but not to try and deflect it, instead it was to expose subsurface material – the 6-km diameter body was much too large. But Didymoon is small enough, and in a tight enough 12-hour orbit around its parent, that its orbital period can indeed be shifted in a measurable way,” says Hera’s lead scientist Patrick Michel, CNRS Director of Research of France’s Côte d'Azur Observatory, in the note released on February 4, 2019.